Through the creation of mankind, the gifts of the benevolent spheres of light have indeed been bestowed by the gods of your creator selves into the understanding of the truth and the light of the creator. Through the light and the truth of the understanding of the highest principles of the octaves of being, shall they move the universal decrees and the universal energies of love and light into the positions of the cosmic gateways. For the cosmic gateways, have indeed aligned into the position in order to illuminate and in order to bathe humanity in the glorious octaves of the tones of ascension, glorious harmonic tones of ascensions of the highest octaves of being. For the frequency of the cosmic gateways is that which you are. For all of you are operating on the sound spectrum, the sound and light spectrum of your creator selves. And as we speak to you candidly now, you shall form the highest point of the cosmic gateway, you shall understand and expand your consciousness ever so much. For you all, are entering the gateway of creativity, the gateway of exploration, the gateway of personification of all that you hold sacred. For indeed you are entering a new terrain, a terrain whereby you shall be granted access to the highest wisdom that mankind has ever experienced. For you are entering a new terra, you are entering a new timeline on the universal spiral of the Age of Atlantis. 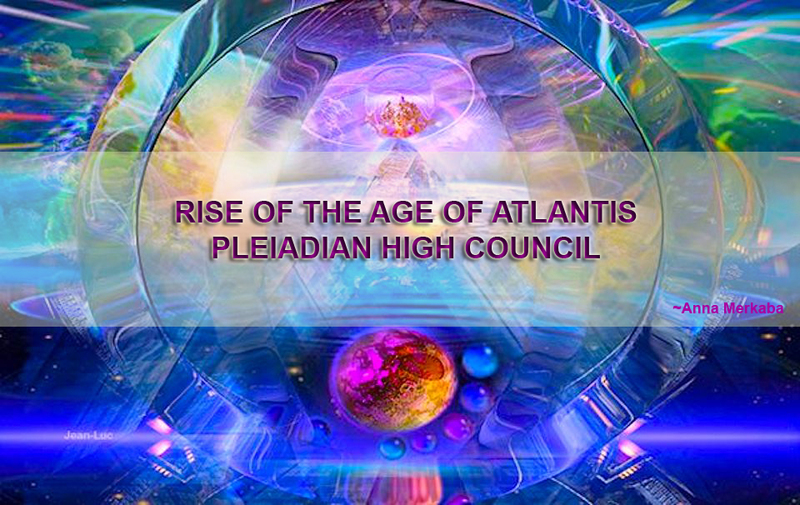 What we are trying to say to you dearly beloveds is that indeed the Atlantis of your known world is rising, and indeed we are truly welcoming you to the new area of might and flight, a new era of technological advancement, a new era where all that you wish to see manifest into your reality shall take flight, and rapidly materialized before you. And as such, we draw your attention to that which you are, we ask you to step through the accords that are being sent to your earthling selves, we ask that you step through the corridor of creation. We ask that you go into the depth of your very soul , and retrieve the hidden codices that are laying dormant therein. Go into the very depth of your soul, into the very abyss of that which you believe you are, and release all the dormant layers, in order to purify yourself, an in order to allow yourself to expand, exponentially for truly you are a frequency of magnetic proportions. All that you see and all that you are is a frequency, frequency of magnetic proportions, for that which you believe to be solid, no longer is, for you have indeed entered a new age, an age of Aquarius an age of fluidity. Left behind are the preconceived notions of the dogmatic thinking, left behind are the preconceived ideas that you are that which you see, for indeed you are not, for indeed you are fluid, for indeed you can and shall step into whatever you wish to be. For indeed you are that which you wish to experience. For indeed you are mighty creator of your own self. Understand, embrace and allow the necessary changes within your vehicle and psyche to take hold of that which you truly are, allow yourself to be lifted, allow yourself to experience the connectedness to the divine, for you are nothing short of a miracle! And indeed we stand with you on the newly found parallel of creation, transmuting all your fears and apprehensions to the true power and majesty of your being, safely guiding you through all the necessary steps of creation. Through all the necessary steps of ascension. WE LOVE YOU=U ANNA….IN LOVE…YES !! !